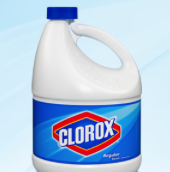 Clorox is celebrating their 100th birthday by giving away 98,000 coupons. Spin to win each day through 6/8/13 for a chance to win a $.50 off Clorox coupon or a $1000 Target gift card! *coupon can be mailed to you instead of printed by clicking the "help" tab on the bottom right side of your page if you win a coupon.